Darlene Faye Gillespie (born April 8, 1941) is a former child actress, most remembered as a singer and dancer on the original The Mickey Mouse Club television series from 1955 to 1958. Her Irish father and French Canadian mother were a former vaudeville dance team. When Darlene was two years old, her family moved to Los Angeles, California, where she became a naturalized American citizen in September 1956 at the age of fifteen.Gillespie was born in Montreal, Quebec, Canada. At age ten, she ... See More started singing lessons with Glen Raikes, and even took dance lessons with Burch Mann, founder of the American Folk Ballet Company. She auditioned for The Mickey Mouse Club in March 1955, was hired, and appeared on the program for all three seasons of its original run. She was the leading female singer and starred in the serial Corky and White Shadow during the first season. In the third season, she appeared in the serial The New Adventures of Spin and Marty with Tim Considine and David Stollery. She was cast as Dorothy in a musical number from the proposed live-action Disney film Rainbow Road to Oz on an episode of the Disneyland television series in September 1957. The movie was never made, and after The Mickey Mouse Club stopped filming in 1958, her short acting career neared its end. 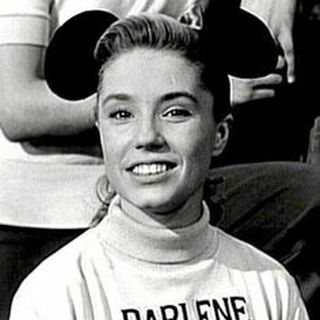 Her last television appearance was as Beth Brian in the 1962 episode "The Star" of the NBC family drama series National Velvet starring Lori Martin as a budding thoroughbred rider.Gillespie made many recordings under the various Disney labels, including an album of 1950s rock and roll standards called Darlene of the Teens (1957). She recorded albums from Disney animated films in which she not only sang but narrated the stories, such as Alice in Wonderland and Sleeping Beauty. In 1975, attempting to revive her singing career, she formed her own record company, Alva Records, and released a 45 rpm record of country songs under the name Darlene Valentine.